Everyday Versatility. 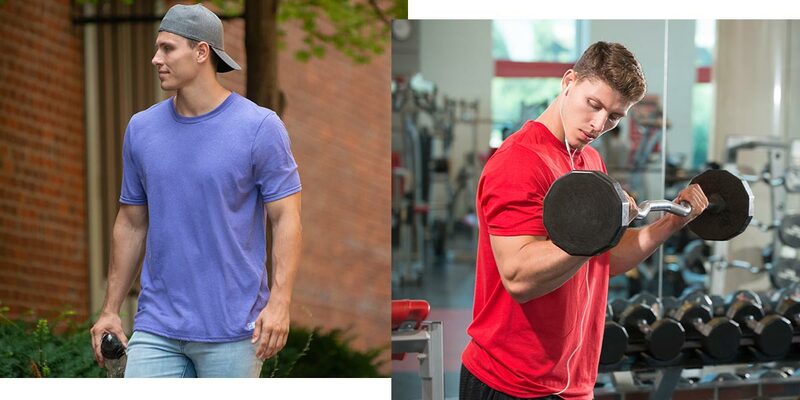 Comfort of Cotton + Benefits of Performance. Our Essential Collection is designed to keep you comfortable all day long – from time spent with friends to breaking a sweat in the gym. It’s important that men’s activewear keeps you smelling fresh all day long. That’s why we constructed our Essential Collection with moisture-wicking technology to beat the stink. Women’s sportswear is no exception. From brunch to yoga, your clothing should give you all the comfort with the benefit of performance. Browse this collection of favorites and wardrobe essentials for men, women, & youth.